The Criterion Prime 700 is a 4/5 season Down Sleeping Bag is designed for winter trekking and winter Alpinism. 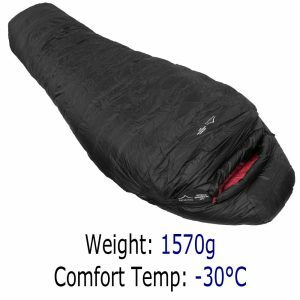 With a comfort temperature rating of -18°C you can camp out all year and also in alpine conditions. 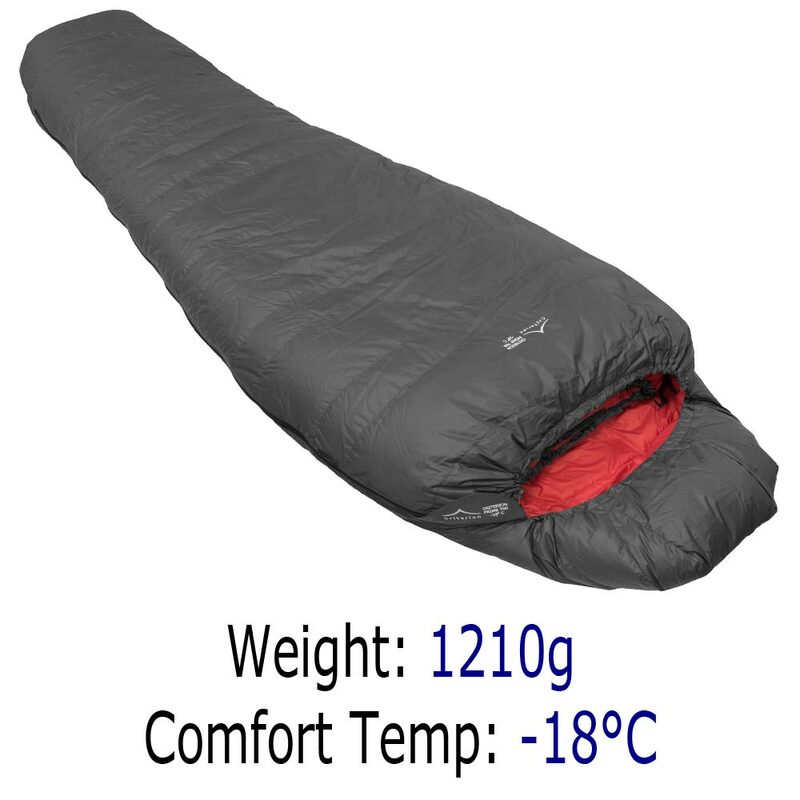 Its weight is 1210 grams, which is low considering the low comfort temperature. 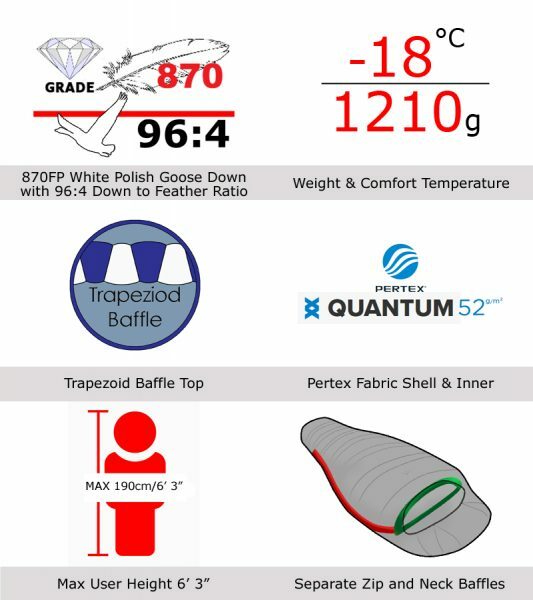 Made using a Pertex Quantum 52g/m² (formerly Pertex Microlight) ripstop shell filled with 700g of 870 FP Diamond Grade White Polish Goose down. 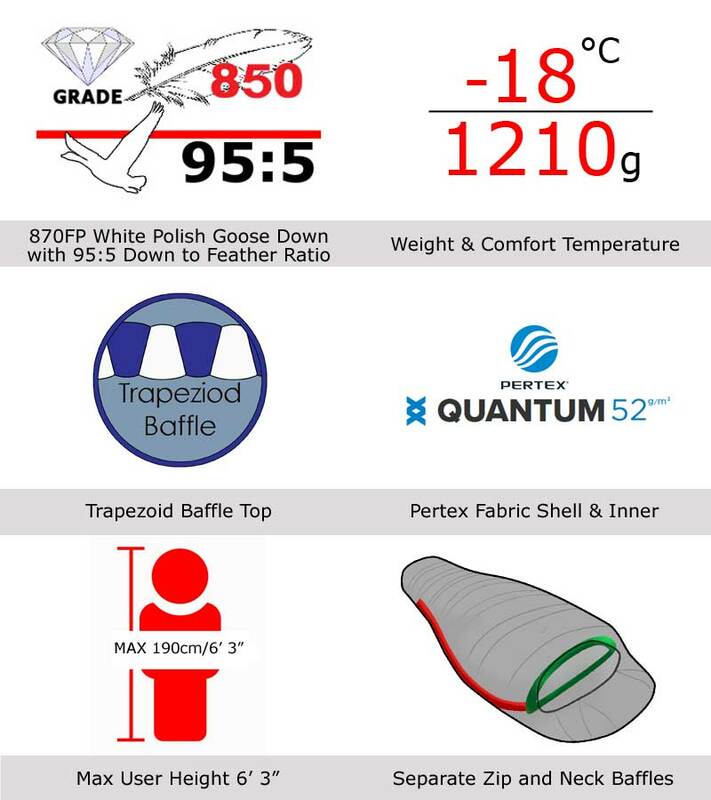 Trapeziod construction eliminate cold spots enabling a comfortable night’s sleep. A DWR treatment of the shell helps protect the down from any dampness that may occur in your tent, from condensation or wet gear. 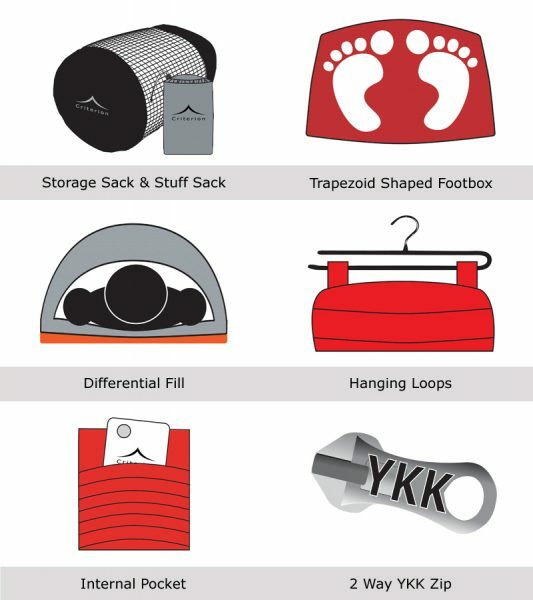 When in its stuff sack, the pack size is 17 x 17 x 36 cm. 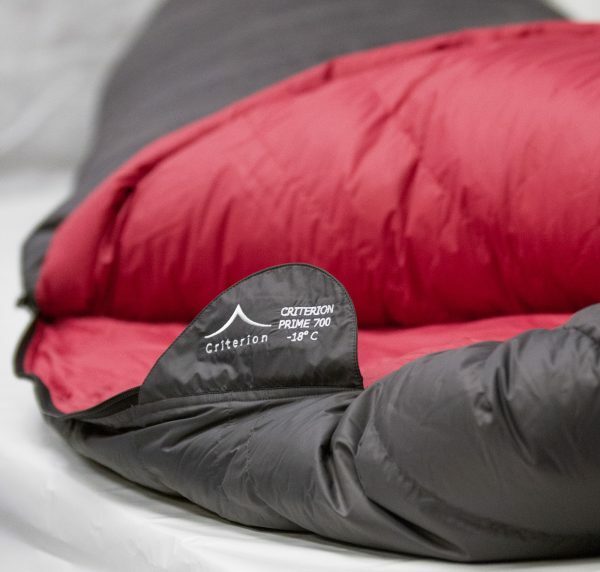 The activities most suitable for using a Criterion Prime 700 down sleeping bag are winter trekking and winter alpinism. 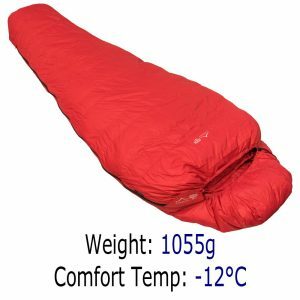 The night time temperature when you are doing these activities could fall well below freezing. 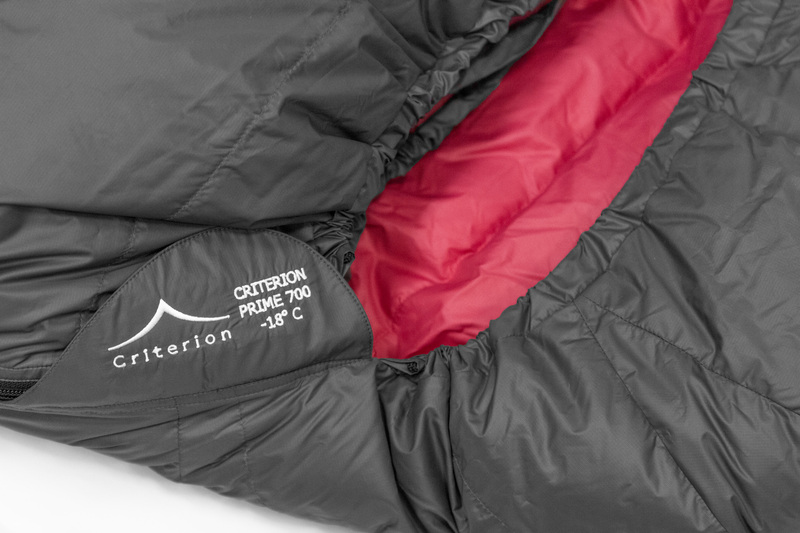 With a comfort temperature of -18°C the Criterion Prime 700 will keep you warm in the worst UK weather and alpine conditions. The weight of 1210 grams is low for a sleeping bag with this comfort temperature. I purchased a Prime 700 about 5 years ago, it has served me very well. 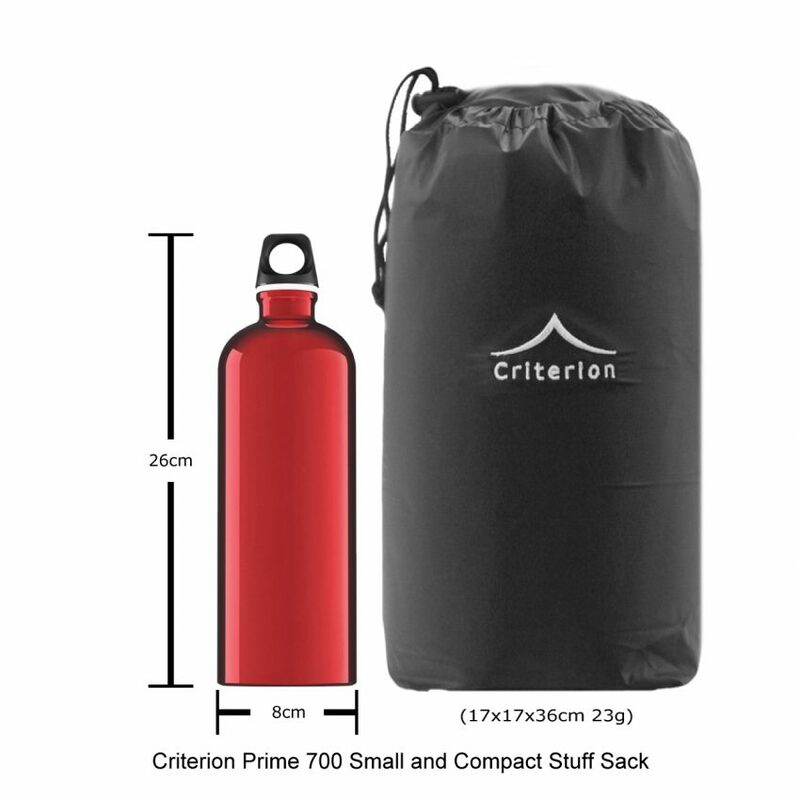 In early 2016 I purchased a Criterion Prime 700 sleeping bag for a mountaineering trip to the central Tein Shan, Kazakhstan. 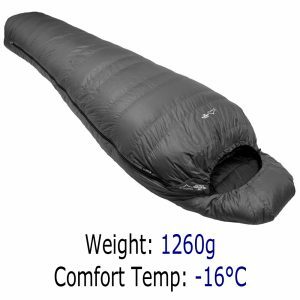 I have subsequently used the bag in the Alps and in Kyrgyzstan and for the most part, it has performed excellently. 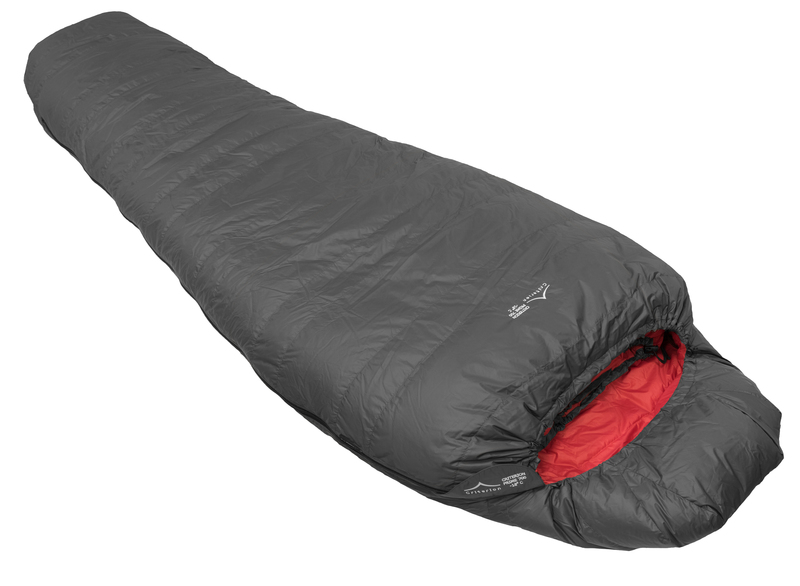 This sleeping bag is one of the best bits of kit I’ve got.